Product code: P652 Categories: Antique, Objet D'art, Silver & Silver Plate. Here is a very beautiful hand pierced antique German sugar sifter that was made in 1850 and not only looks so beautiful today but is still also very usable and will certainly make a wonderful addition for any home cook. Made in Germany, it bears the hallmark “12” for the silver purity of 0.750 silver and is also stamped with the makers stamp of Schmidt. As an added feature, it is engraved ” G. Enrich d 19 Apr 1850” which is quite unique. From end to end the sugar sifter measures 20.2cm and the pierce working is just so charming as is the scalloped border of the base. 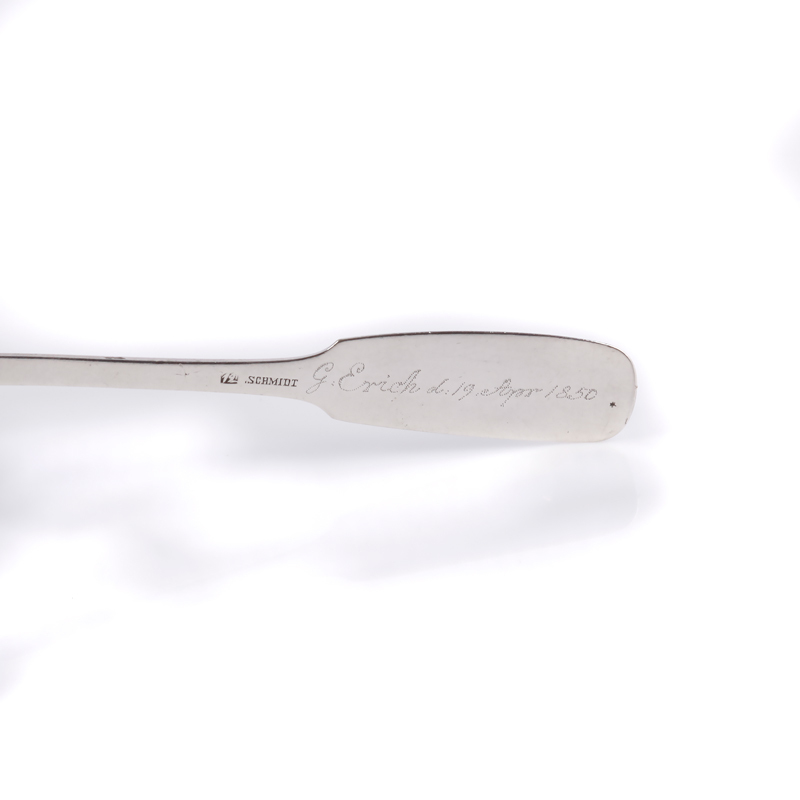 A real charming piece of history that can still be used in the kitchen over 160 years later.